Get Your Ticket from Dwt Ltd & Travel to Delhi. BOOK TODAY! 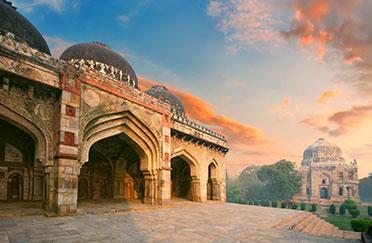 With cheap flights to Delhi, explore the most populous city of India. Famous for Indo Pak historic architectural beauty, the city has many tombs and Mosques for you to experience the cultural beauty. Visit the Humayun’s Tomb of the Mughal era having the stunning structure architecture by the famous designers. Housing of numbers of museums, the Red Fort has been a residency of the famous Mughal emperor. For a day trip, head towards the Lodi Garden that is a famous park there that has tombs of Mohammed Shah, Sikander Lod and Sheesh Gumbad. 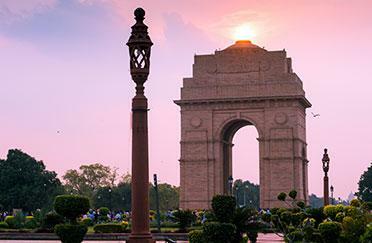 Book cheap flights from Birmingham to Delhi, cheap flights from Edinburgh to Delhi or book London to Delhi flights to explore one of the most popular cities of India and its attractions like a popular war memorial monument, the India Gate is located on the eastern side of the city that is mostly advised to see first once you are in the city. For shopping purpose, you can visit the Chandni Chowk market in old Delhi where the Red Fort is also located. Now with Dream World Travel’s cheap flights to Delhi, you can fly to the great city of India and explore the Indian Beauty at its best. 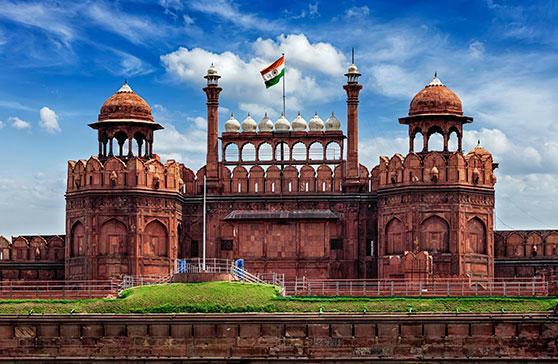 Visit the most popular monument of the city, the Red Fort that was built in 1648 by Shah Jahan. This magnificent structure covers an area of more than two kilometres. It has numbers of museums and has been a residency of the famous Mughal emperor too. The second tallest building of India, Qutub Minar leaves you stunned with its outlook and style. This stunning Minar was built by Qutub-ud-din Aibak. Visit the most important Sikh place of worship in Delhi, its pool, famous gold dome, flagpole, the building of temple and its art gallery are the highlights. Visit the largest mosques in India, the Jama Masjid that was completed in 1658 and features three gateways, four towers and two 40 m high minarets. The Lotus Temple is famous for its flower like shape and has now become a famous attraction of the city that grabs attention of all tourists with its sprawling outlook. A popular war memorial monument, the India Gate is located on the eastern side of the city that is mostly advised to see first once you are in the city. Delhi is the most expansive city in India. It is India’s second most populous city. Delhi has the world’s 3rd largest urban area. Jama Masjid in Delhi is the largest mosque in India. It has the second-highest number of billionaires and millionaires in the country.